An American Renaissance by Colonel (ret) Lawrence Sellin | Scanned Retina – A Resource for the People! ← Americans: Time to demand corporate America to push back! The Obama years will be forever known as the Dark Ages of US history, a time of political, cultural and economic deterioration. We have yet to see if they will lead to the fall of the American republic. In the Obama years, the lie became not only a campaign strategy or a means to enact damaging policies, but an institution of government; the Presidency itself, a lie of monstrous proportions guarded by the complicit and the willingly ignorant. In the Obama years, the Congress finally clearly demonstrated that although we have elections, there is no longer a government representing its citizens, but an entity serving itself, operating outside of Constitutional constraints and unaccountable to the American people for the benefit of the few at the expense of the many. In the Obama years, disseminating either disinformation or no information, a devoted media helped create the intellectual darkness and vacant servitude required to carry out the strategy of their leftist Messiah; a country without any sense of its own history and traditions, where the low-information voter would slouch towards Obama’s imaginary utopia through a combination of governmental coercion and the hedonist nihilism of a painless, amusement-sodden, and stress-free America managed by a nanny-state. In the Obama years, we see the resurrection of the economic feudalism of the Dark Ages, a system dominated by wealthy special interests that inhibit the upward mobility of the poor and the middle class. In the Obama years, like during the Dark Ages, we witness the rise of Islamic hegemony and violence, the infiltration of the US government by the Muslim Brotherhood and the promotion of Sharia law in our schools and judicial system. It is clear that members of Congress have largely not adhered to their oath to support and defend the Constitution. The solution, however, is not simply trying to elect more “good” people, who eventually get coopted or crushed by the system, but to create circumstances or incentives that oblige bad people to do the right thing. The starting point should be limiting Congressional terms to a total of 12 years either in the House of Representatives or in the Senate or a combination thereof and abolishing all special benefits for members of Congress and government officials beyond those available to ordinary citizens. Free enterprise is the most efficient system for the production of goods and services ever devised. Government is not. Federal taxation and regulations must be reduced to an absolute minimum to unleash the creative forces of the free market to power economic growth and increase jobs. To increase growth and employment, it is essential to reduce the size of government by enacting, with the exception of defense, a yearly across-the-board 5% reduction in federal funding with the immediate elimination of the Departments of Homeland Security, Energy, Education and the Environmental Protection Agency. The establishment of a simplified flat tax system for individuals and businesses would obviate the need for the Internal Revenue Service, removing its use as a political weapon and severely limiting the corrupting influence of lobbyists. Other measures include: securing our borders and firm enforcement of current immigration laws; strictly applying Equal Opportunity against the discriminatory practices of affirmative action and diversity policies; declaring Sharia incompatible with the U.S. Constitution and making its public implementation in any form illegal; declaring English the one and only official language of the United States; rejecting political correctness and multiculturalism as an infringement of the rights guaranteed under the First Amendment and contrary to the American principle of E pluribus Unum. An American Renaissance cannot be achieved, however, if we do not, as a country, speak the truth and recognize how far we have strayed from the Constitution, representative government and fiscal sanity. Succinctly, we have a hopelessly corrupt political-media culture, which made possible a fraudulent and destructive Obama Administration. Barack Obama came to office inexperienced, but armed with a dangerously subversive anti-American agenda designed to undermine the Constitution and the uniqueness and sacredness of the individual, where, through the exercise of his or her reason, one can discern the means necessary to secure life, liberty and the pursuit of happiness, unmediated by mullahs or government bureaucrats. Unless we undertake a thorough exposition of who Obama really is, what is his background and true agenda, what forces made his unprecedented rise to power possible and who has conspired to hide the truth, an American Renaissance will not be forthcoming. We are in a new Dark Age. In such situations, the record of history is unequivocal; either we produce a Renaissance, that is, a rebirth of the fundamental principles upon which America was founded or our republic dies. 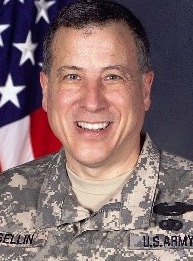 Lawrence Sellin, Ph.D. is a retired colonel with 29 years of service in the US Army Reserve and a veteran of Afghanistan and Iraq. Colonel Sellin is the author of “Restoring the Republic: Arguments for a Second American Revolution “. He receives email at lawrence.sellin@gmail.com. read the posting at americannationalmilitia.com 1-31-15 committee of 300- finally all of the names released. would not want to be them.